The Bowral Rugby Club has raised just under $10,000 for the Tour De Cure. At last Saturday's matches at Eridge Park the club sold raffle tickets and held an auction. 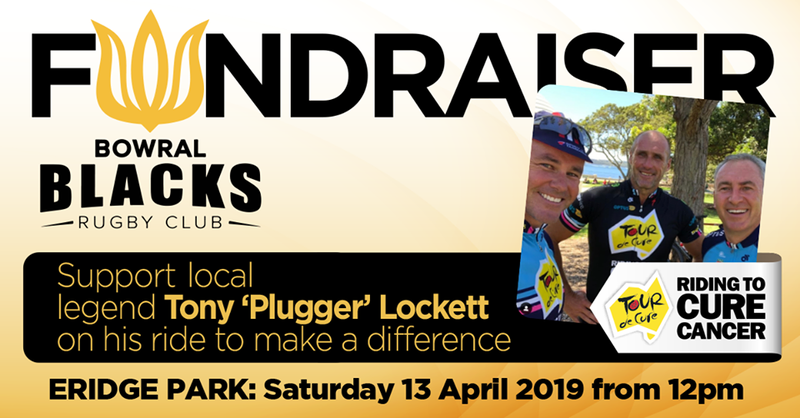 Highlands local Tony Lockett is taking part in the 1350 kilometre ride and President Mark Freund says it was a massive effort to able to raise that amount of money in one day. All funds will go towards cancer research.